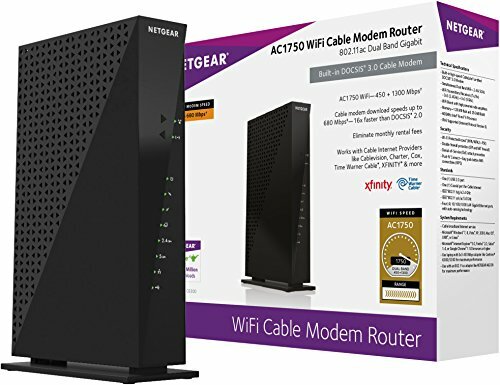 The Netgear Nighthawk AC1750 smart Wi-Fi router is ideal for heavy gaming. With up to 1750Mbps and a powerful dual core processor, this router delivers excellent range for larger homes with three external antennas. Also making it ideal for gaming, this router comes with advanced QoS to automatically recognize and prioritize streaming applications. The AC1750 also comes more advanced than the C3000 and the C3700 model, as there’s a faster USB 3.0 port, ability to wirelessly share a USB printer and iTunes compatibility, justifying the higher cost.